In 1999, Dr Ruchika Gadh received her Bachelor of Science Degree in Physiology and Neurobiology from University of Maryland, College Park and went on to completer her Medical degree (D.O.) at Nova Southeastern University College of Osteopathic Medicine. 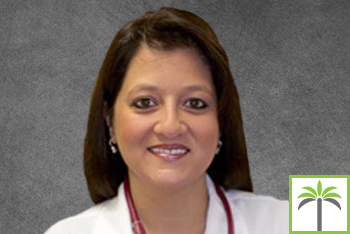 In 2007 Dr. Gadh completed her Family Medicine Residency at Palmetto General Hospital and is board certified in Family Medicine. She is a member of the American Osteopathic Association and the American College of Osteopathic Family Physicians. Dr Ruchika Gadh has been a family practitioner for over 10 years in Plantation, Florida, where she works side by side with her spouse Dr. Rundeep Gadh, Dr. Gadh moved to South Florida in 2000 for medical school where she met her husband and they now have three beautiful daughters. She loves traveling, decorating, cooking, photography and spending time with family and friends.